According to the Global Fund to Fight AIDS, Tuberculosis and Malaria, AIDS-related deaths have dropped by 45 per cent, malaria death rates are down by 60 per cent and tuberculosis mortality has diminished by 47 per cent. These are exciting achievements, but not nearly as exciting as the possibility of ending those diseases for good. In the year 2000, the fight against AIDS, tuberculosis and malaria seemed impossible to win. These preventable diseases were killing more than four million people a year. AIDS alone was killing more people than were wars and famine put together. But then things changed. Governments, NGOs and communities fought back and 16 years later, the results are worth celebrating. Today, we are facing the final frontier in the battle against these epidemics. As Prime Minister Justin Trudeau hosts the Global Fund Replenishment Conference in Montreal this weekend, gathering the likes of Ban Ki-moon and Bono, decision-makers will come together to pledge funds to put a permanent stop to AIDS, tuberculosis and malaria. And Canada is faced with the exciting possibility of being at the forefront of ending these illnesses within a generation. It's easy to get swept up in the fanfare of celebrities and politicians coming together to make a difference, but the final hurdle to end these diseases isn't an easy one. More than half of child deaths happen in fragile or conflicted areas. Places like Afghanistan, Somalia and South Sudan are home to 60 per cent of the world's maternal deaths and 70 per cent of newborn deaths, yet Canada only dedicates 25 per cent of its official development budget to these places. To "End It For Good," as the Global Fund's campaign puts it, Canada's development budget has to be more focused on fragile areas, otherwise they will remain a ground zero for mothers and children to be left behind. 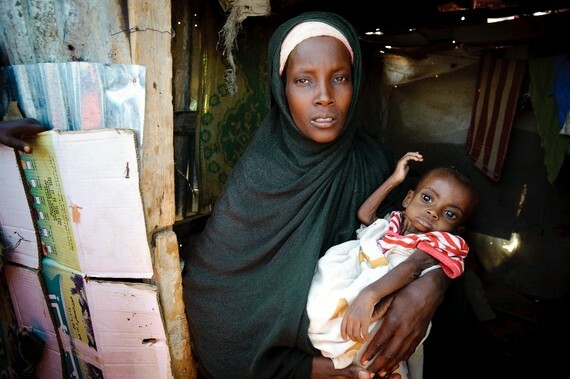 One of these forgotten mothers could have been Ilhan Abdirahman Abdilahi, who is receiving TB treatment at a World Vison-funded TB hospital in Somalia. Ten years ago no such hospital existed and if Ilhan needed certain types of TB treatment she would have to travel to Kenya. 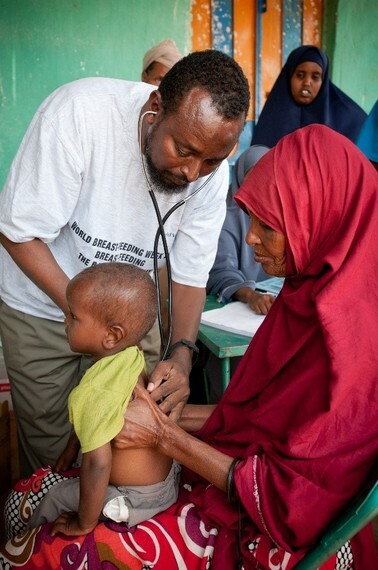 Twenty years of conflict in Somalia has left the health system broken and inaccessible to most of the population. With instability comes insecurity, which makes it almost impossible for people to access health care in these countries. "As a result, Somalia has the biggest burdens of drug-resistant TB in Africa and the fourth largest in the world," says Walter Mukhwana, World Vision's Deputy Chief of Party for the Global Fund's TB program. "Mass displacement in Somalia means that people live in overcrowded conditions which promotes the spread of TB, and when TB goes untreated it can result in drug resistance or untreatable strains of the bacteria." If you consider that when Ilhan tested for TB she was seven times more likely to be infected with drug-resistant TB than a mother in neighbouring Kenya, you realize the dice are loaded against people in fragile contexts. Even when women like Ilhan are provided with TB medication, they are 20 times more likely to have their treatment interrupted in Somalia than in Kenya. "Violence is erratic and it deters many residents from travelling to health facilities for care, which means they will miss their treatment," says World Vision's Mukhwana. "When people stop their treatment they end up developing resistance to their disease and that means the general drugs won't work." With instability comes insecurity, which makes it almost impossible for people to access health care in these countries. Interventions that might work in Kenya, may not work in Somalia, which is why World Vision and the Global Fund have taken a specialized approach to this country. Their decade-long partnership is flexible and accountable to each other and has been fundamental in strengthening Somalia's health system. Over ten years, World Vision placed significant emphasis on re-establishing the relationships between healthcare providers and local community members so they can be champions of health and build resistance to these diseases in their communities. The results speak for themselves: Over 127,000 patients have been treated with an 88 per cent success rate. And while TB clinics have become more accessible, the strong relationship between communities and healthcare providers has even contributed to peaceful relations in communities that were once divided. We are closing in on the battle against AIDS, TB and malaria, but actually winning means focusing on those who are most vulnerable and fragile places, like Somalia. This is why World Vision is asking that Canada increase the percentage of its development budget allocated to these areas from 25 per cent to 35 per cent, enabling our country to be a humanitarian leader. The next five years are crucial, they will determine whether we will pass these epidemics on to generations to come, or whether we'll be the generation that seizes the opportunity to end them for good. That opportunity begins with Canada today. As Government of Canada plans for the 2017 budget, join World Vision in calling for an increase in aid to the world's most fragile places.